As I rushed around at work today, my stomach kept growling. I wondered how come I was so hungry. Was I thirsty? I drank a lot of water, but that didn’t help. No, I was not thirsty. I went out for lunch and got myself a nice healthy salad mix and some bread. It usually fills me up quite well, but not today. I was perpetually hungry. In the afternoon, I discovered the source to my constant hunger. I had forgotten to eat breakfast. I had prepared some yogurt with honey and lemon for breakfast today, but I had completely forgotten about it and left it in my bag. On most days, I make sure I have a heavy breakfast of either brown rice with various toppings of protein and vegetables or either some scrambled eggs with ham. On days I have a big breakfast, I discover that I feel satisfied for the entire day. I eat less during lunch and dinner and don’t feel an urge to snack in between. On days, like today, when I have light breakfasts or none, I am perpetually hungry. I don’t feel satisfied, no matter what. Even now, I feel an urge to go open the fridge. According to a study by the American Dietetic Association they discovered that children who had a healthy breakfast (not one filled with empty calories) had a better performance in the classroom. They also had better concentration, problem-solving skills, and eye-hand coordination! Wow! Start the day with a healthy breakfast and you’ll find it makes all the difference. 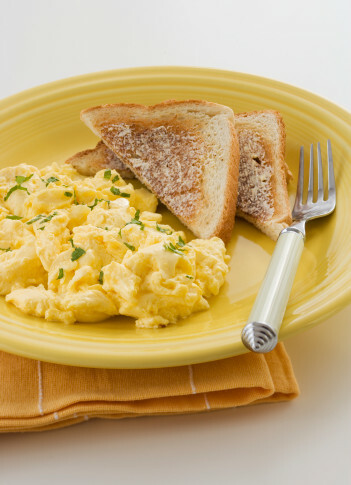 Skipping breakfast in hopes of consuming less calories usually has adverse affects. You might end up having a big lunch and even bigger dinner!! Remember: Breakfast like a King or Queen! 😀 Don’t you just love to eat?